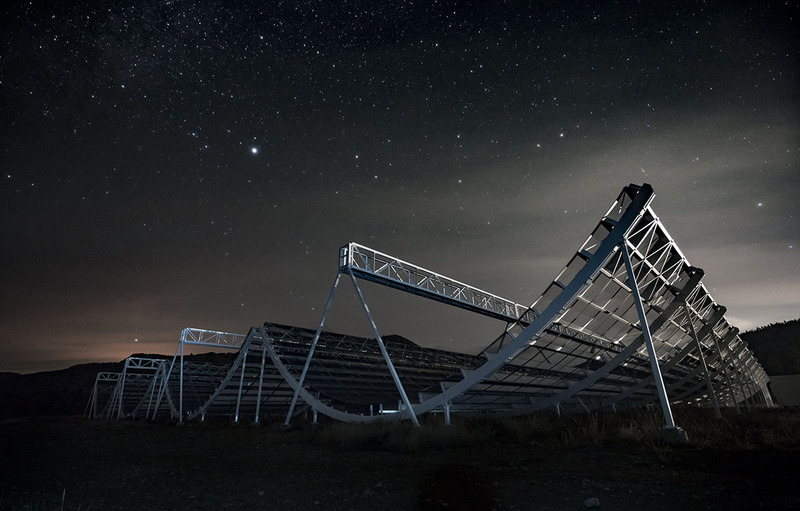 Canadian radio telescope maps Universe, hunts for FRBs, Dark Energy. THE FOLLOWING IS A JOINT PRESS RELEASE FROM UBC, U of T, McGILL and NRC. 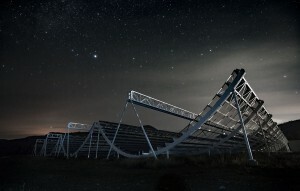 [Kaleden, BC] A Canadian effort to build one of the most innovative radio telescopes in the world will open the universe to a new dimension of scientific study. The Honourable Kirsty Duncan, Minister of Science, today installed the final piece of this new radio telescope, which will act as a time machine allowing scientists to create a three-dimensional map of the universe extending deep into space and time. CHIME is a collaboration among 50 Canadian scientists from the University of British Columbia, the University of Toronto, McGill University, and the National Research Council of Canada (NRC).